Everyday elegance can be found in this beautiful pocketed wire-free Ella bra. 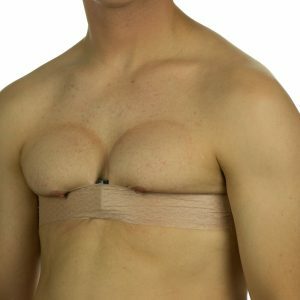 Soft cup bra, full fit. A pretty floral jacquard fabric adorns this fiberfill bra ideal for fuller figures. Mesh pockets so that your forms remain hidden and don’t “peek-a-boo” over the top of your bra. Amoena pocketed bras are not only designed to be beautiful but are also engineered with specific features to ensure your comfort and confidence — things like cooling fabrics for all-day performance. We design with you in mind. 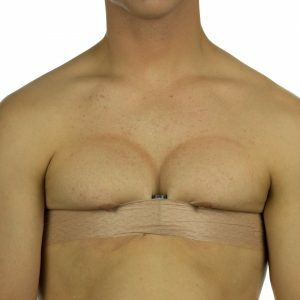 Comfortable, adjustable straps to relieve your shoulders, pockets to hold your breast form securely in place, cups that are cut to follow the shape of the breast form, wider underbands to provide a little extra support, and other technical details you won’t notice, but you will appreciate.